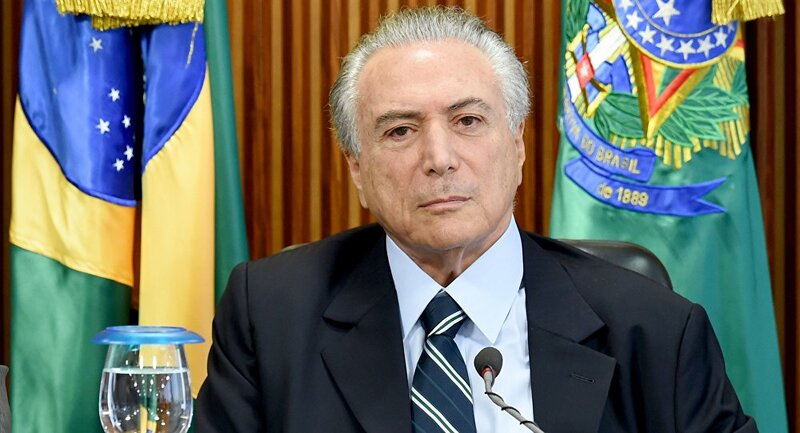 Brazil’s interim President Michel Temer provided political intelligence to the US National Security Council and military in his capacity as leader of the ruling PMDB party, the WikiLeaks investigative website revealed Friday, citing its 2006 cables. MOSCOW (Sputnik) — In two January and June 2006 cables marked "Sensitive," Temer relayed his views on party unity and upcoming presidential elections to the US Southern Command in Miami and the US National Security Council among other recipients, WikiLeaks said. "Brasil's new president #Temer was an embassy informant for US intelligence, military," the website tweeted. — WikiLeaks (@wikileaks) 13 мая 2016 г.
Temer, who assumed the presidency on Thursday following suspension of his predecessor Dilma Rousseff’s over impeachment procedures, presided over the PMDB from 2001 until April 5, 2016.